How to take one of the most respected mountain boots ever and make it better? Let's have a look at the Scarpa Manta Pro GTX: that should tell us how it's done. The robust support of a mountain boot upper is there of course, but the ankle has been re-engineered for a more comfortable flex: it props you up but lets you move. The lengendary toughness of Crosta reversed leather is still used, but it's in combination with synthetic materials and a Gore-Tex lining to keep the weight down and the performance levels up. Underfoot too, the outsole uses lighter components than previous generations to provide a platform for your foot without weighing it down. 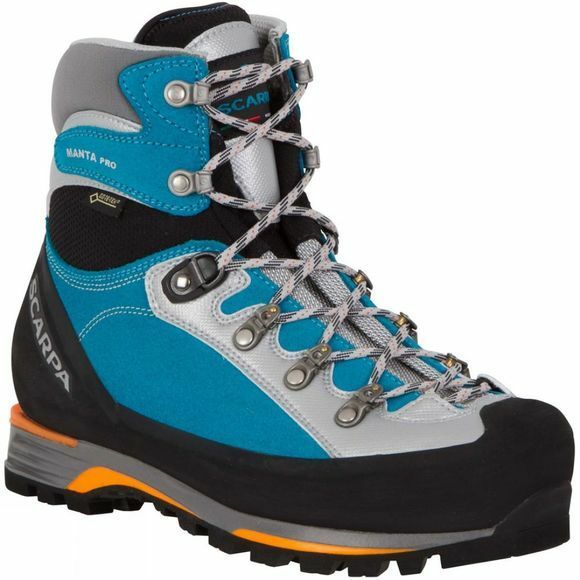 Continuing down through the boot towards the ground, Pentax Precision XT outsole provides grip but adds a "climb zone" at the toe for extra friction on rocky edges. 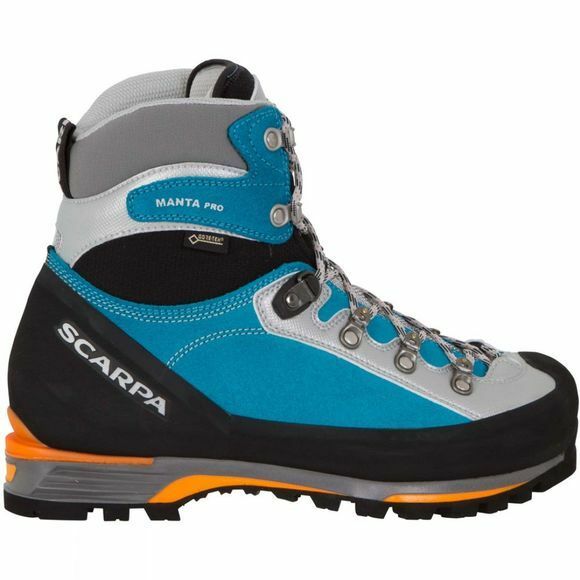 So, that's how you take a world class mountain boot and make it better: you make it into the Scarpa Womens Manta Pro GTX.